The Southern Right Whale spends the summer in the far Southern Ocean in close distance to Antarctica where it feeds. In winter the species does migrate north however some have been understood to spend their winter in Sub-Antarctic areas. The overall population of the types is approximated to be around 10,000 individuals. These whales grow to become large in size and an adult female can measure up to 17m in length. They are identifiable by a few key attributes which are the callouses on its head, broad backs without any dorsal fins and long arching mouths. Fun fact, the male Southern Right Whale holds the world record for the largest testicles of any animal, one weighing around 500kg! 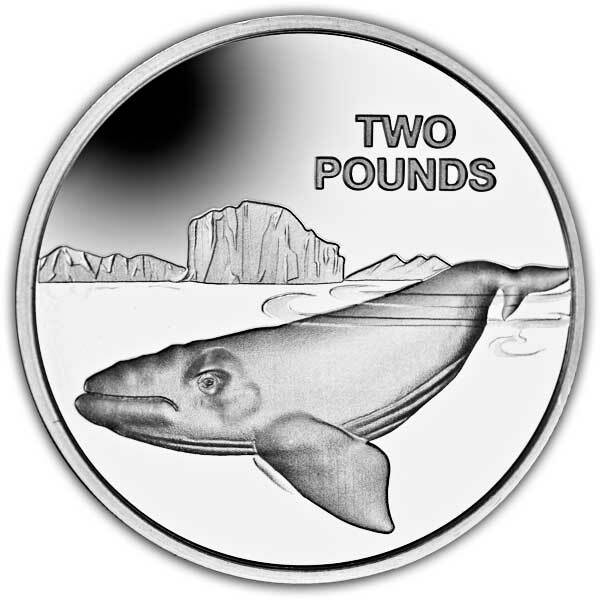 Pobjoy Mint have issued a stunning coin perfectly recording this stunning mammal. 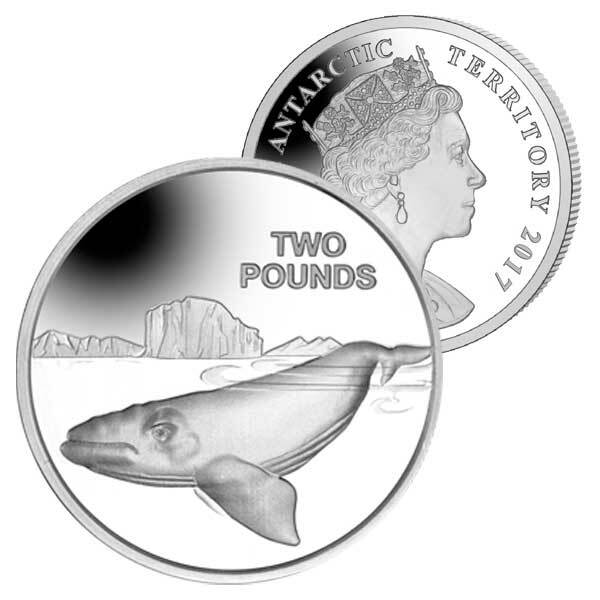 As these whales occupy the oceans surrounding the British Antarctic Territory, it was fitting the coin needs to be issued on behalf of the British Antarctic Territory Government. 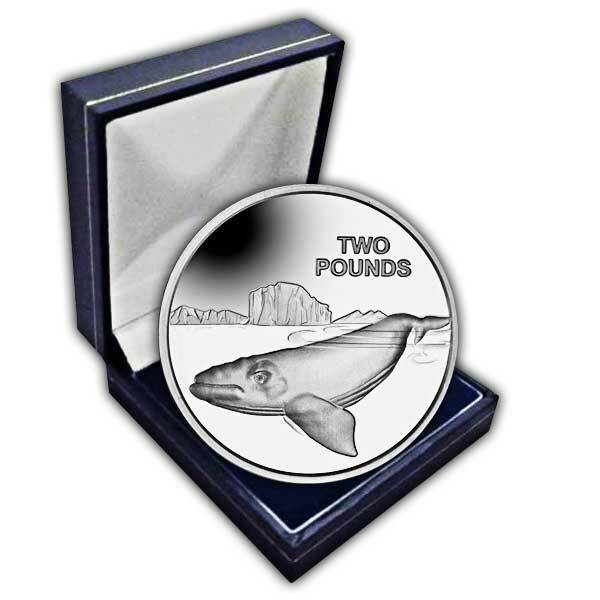 The issue limitation will be 10,000 in Uncirculated Cupro Nickel and 2,000 in Proof Sterling Silver. The obverse includes the Pobjoy exclusive effigy design of HM Queen Elizabeth II in exceptional detail.